COUNSELING WITH GENUINE CARING – HOW AVAILABLE IS IT? In all the political furor over health care in recent years questions of governmental intrusion into more local and private decisions, funding, cost, and how services should be reimbursed have been the focus of discussion and debate. Some consideration has been given to the question of access to care, as well as pre-existing conditions. What has been largely ignored, however, is the fundamental issue of quality of care. Some recent op-ed writing, as well as news reporting, have kept this question alive, if not front and center. Are there enough physicians who take the time and demonstrate a more genuine and fuller interest in their patients’ lives? Dr. Michael Stein is one primary care physician who does more than collect information about current symptoms, followed by a prescription or a referral to a specialist for further diagnostic efforts or purely medical treatment (http://2014/12/01/the-secret-therapist/). After dealing with whatever the presenting issues might be, Dr. Stein asks on open-ended, gentle, and curious question to a 22 year old woman, like: “I’m interested in how you would compare yourself today to your 18 year-old self. Do you feel like you’re moving along into adulthood?” For this young woman, it unfolds into some conversation about how she is less dependent on her parents when facing a challenge, and then identifying her current concerns about employment, completing her education, and generating her own “happiness”. The last point makes an easy transition to whether marijuana or alcohol use are a part of her being happy; this is potentially fertile ground to examine what could be possibly significant concerns. Dr. Stein makes few attempts at intervention, since this is not therapy. It’s more to establish rapport and some trust, so that future consultations might take place that could lead to some help, if needed. If any red flags appear, he might suggest a follow-up appointment fairly soon, such as the use of drugs to relieve anxiety or sadness, or to push troubles out of mind. Since he is a professor of medicine and health services at Brown University, he may have more time for such exploratory conversations; typical primary care practice generates pressures to see patients in less time, so that time and energy is squeezed out for such more personal, holistic interactions. Many people seek help first from their primary care physician for health issues that often include critical psychological components. Taking time like this, and demonstrating non-judgmental and genuine interest are essential to the practice of good health care, for all patients, not only young adults. With the resulting trust and rapport, recommendations for psychotherapy to complement any medical or purely pharmaceutical treatment are much more likely to be followed. Both research and practice have demonstrated that both counseling and perhaps medication, combined, are far more powerful in relieving such common struggles as depression, anxiety, grief, and other developmental challenges we all face in moving forward in our lives. Another op-ed piece poignantly described more genuinely caring psychiatric treatment (http://opinionater.blogs.nytimes.com/2013/03/24/a-persian-in-therapy/?smid=nytcore-iphone-share&smprod=nytcore-iphone). An American-born woman of Persian descent, Melody Moezzi, struggled with bipolar disorder from her adolescence. Hallucinations in college prompted an accurate diagnosis, followed by a decade-long unsuccessful effort at psychotherapy. Medication provided some relief, but therapy was of little or no benefit. As Ms. Moezzii wrote so powerfully: “…psychotherapy felt foreign to me. It was like an overpriced, undersized sweater woven entirely from steel wool. I desperately wanted it to fit and soften with wear, but it did neither.” Cultural ignorance added to the futility, when a psychologist warned that efforts to pray would be “excessive”; the therapist incorrectly assumed that the patient already engaged in prayer throughout the day as an actively practicing Muslim. A pancreatic tumor had been treated successfully before, with the aid of some personal journaling. Her MD at the time encouraged her writing, took an interest to read her work, and then published it in a new professional journal he was starting. Here was some caring that went beyond diagnosis and purely medical treatment. She attempted psychiatric treatment for medications once more when Ms. Moezzi moved to another city. With some reluctance, she made one last attempt at psychotherapy with the psychiatrist. Fortunately, she found someone with “humor, humility, and humanity”, who “allowed for mysticism and spirituality”; this caregiver was less interested in labels and professional jargon, and was able to say, “I don’t know.”, to some of her questions. Therapy finally proved beneficial. A fateful coincidence, it turned out that this psychiatrist was the son of the G.I. specialist who had treated her pancreatic condition with an interest in her personhood, as well as her disease. Kay Redfield Jamison writes with detail and greater length of the same kind of experience with genuinely caring psychotherapy dispensed along with medications. Her autobiography is well worth reading: An Unquiet Mind: A Memoir of Moods and Madness. Genuine caring is available, if all too rarely. It is the crucial ingredient that transforms more mechanical treatment into healing. Finally, there is the troubling story of meaningful counseling services being denied by Kaiser Permanente in Northern California (Sacramento Bee, June 2013, and Los Angeles Times, February 2015). The Department of Managed Health Care (DMHC) levied a $4 million penalty on Kaiser in June 2013 for “…failing to provide mental health treatment in a timely manner.” This was the second largest fine ever imposed by the DMHC. The judgment noted that the written material for patients about therapy was “…so complicated and misleading that it could dissuade patients” from pursuing care. In part it stated that Kaiser “…offers brief, problem solution focused individual counseling. Research shows that many people improve in a single visit. We do not offer long-term individual psychotherapy at Kaiser.” The material goes on to say there is “…no treatment for long-standing difficulties” for which “short-term counseling is probably not helpful.” These patients were referred elsewhere, outside of Kaiser, with no benefits provided. This violates both California and federal “parity laws”, which require that more serious psychological difficulties be treated with benefits that are equal to medical conditions. A medical parallel might be that Kaiser would treat colds, viruses, and simple infections that respond to a short course of medication and a few doctor visits, but not more complex and difficult conditions (such as cancer, or diabetes) that require more complicated treatments over time with careful ongoing monitoring. Many psychotherapy patients do experience some relief after a first appointment, simply due to unburdening themselves of their long-contained concerns, but this relief is often short-lived; the major issues that prompted help have not really been addressed in an introductory session. While Kaiser made commitments to address these issues, a later report (2015) showed that their mental health programs were continuing to fail to meet “legal standards”. In fact, in April 2015, the LA Times reported that a psychologist was fired for advocating that his patients have timely appointments with greater frequency. 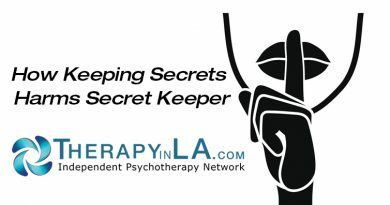 A colleague of mine recently revealed in a personal conversation, that as a counselor at Kaiser in Southern California, some therapists worked around rules and restrictions, often covertly, to provide more ongoing and frequent care for patients in need. Other managed care programs, have routinely and aggressively discouraged anything more than short-term therapy, insisting that medication be provided and referrals made to “community support services”. Despite care needed and deserved, by parity laws, their reviewers will simply refuse to authorize more sessions. The contrast is striking, and worrisome, between the kind of care needed and sometimes available vs. that offered by some insurance and caregiving organizations. Healing and deeper levels of health care may be still available, but often not easily found.